I’ve just completed another photograph for my Between Heaven and Earth Irish portfolio. 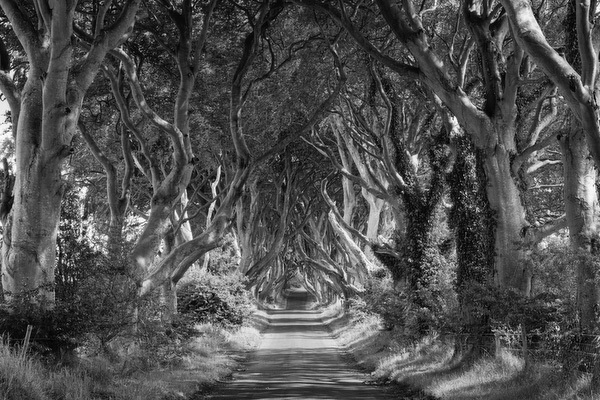 Like other recent pieces, The Dark Hedges 3 is comprised of several individual captures stitched together allowing for the resulting high-resolution image to be printed very large with impeccable fidelity. 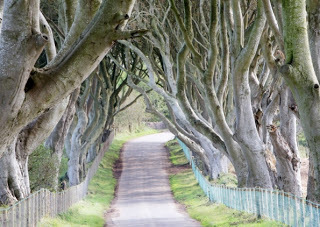 I made two photography trips to this enchanting Northern Ireland location, July 2010 and March 2011. However, I was recently dismayed to learn that the 300 year old beech trees have lost some of their charm due to the construction of a four foot barb wired fence, see the bottom image from a local paper. another reminder to seize the day. 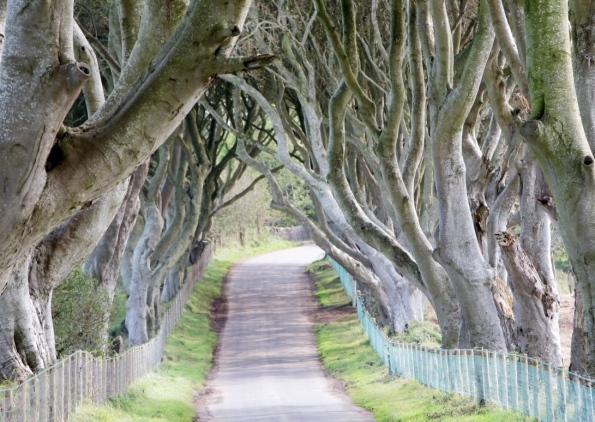 ONE of north Antrim’s most famous landmarks, The Dark Hedges, has been fenced off – quite literally. four foot barb wired fence.